Trekking is walking, generally on good trails, usually up and down (sometimes with elevation change of up to 3,000 feet a day), carrying only a day pack, through magnificent scenery. The day starts early, and often the bulk of the day’s mileage is covered in the morning hours. The shorter afternoon hike brings you to the site of the lodge or camp to be used that night. There are two formats of trekking in Nepal: 1) Lodge or Tea House and 2) Camping. A hybrid of the two formats is also possible. In Tibet, Sikkim and Bhutan, only camping treks are possible. Despite their difference, both treks are not back-packing trips. Porters or Yaks will carry gear including your clothing which should be packed into a duffel bag. This bag should not exceed 30 lbs. You will only be required to carry a day-pack with items you might require for the day such as sunscreen, sun-hat, snacks and energy bars, camera, water etc. On a tea house trek, you will be accommodated in local lodges. Most of these lodges are family-owned and run. Using their services is a great way to infuse visitor dollars into the local economy. Meals are prepared by lodge staff with ingredients available both locally and brought in from Kathmandu. The standard of a lodge varies by location. Usually lodges in the Everest region are more sophisticated (by trekking standards): Private rooms with attached bathroom, solar-heated showers, dining room with a back-burner. In the more rudimentary lodges, you will have to use an out-house. On a camping trek, you will be sleeping in tents. In Nepal and Tibet, we use spacious Mountain Hardwear Trango 3 or North Face VE-25 3 person tents to sleep two people and Mountain Harwear Trango 2 tents to sleep two people. 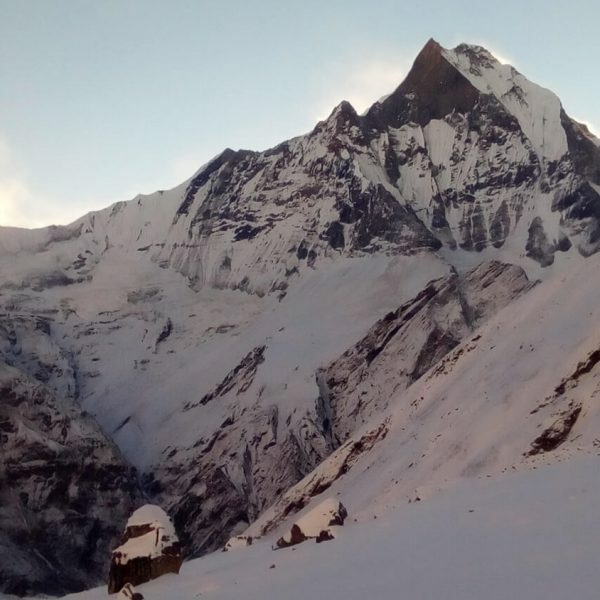 On a camping trek you will be accompanied by an experienced crew comprising of porters, kitchen boys, cook, assistant guides, and a guide or, as this person is locally known, a sirdar. Note, most of these staff have worked with us for at least 10 years if not more. Our guides (or sirdars), on average, have worked with us for more than 15 years. On a camping trek, meals will be prepared by our expert kitchen crew. On a camping trek, two smiling kitchen boys will wake you up with a hot cup of milk tea, usually around 6:00 am. (The day before a pass crossing usually start around 3:00 am). In the next 30 to 45 minutes, you should be packed and ready for the day. A bowl of mildly warm water will also be provided to clean up. Most trekkers prefer to soak a towel or cloth and wash their face, neck and hands. There will be opportunities for a bath on rest days if you are brave enough to dip into the glacial stream or river. Breakfast will be served at around 7:15 am and usually includes toast (where available), Indian flat bread, Tibetan bread, omelets, porridge/muesli, hash browns, salami etc. We also serve organic Nepal-grown coffee. After 3 to 5 hours of hiking, the group will stop for lunch. If water is available, hot lunch will be prepared. If the day’s mileage is longer than usual and if water is not available, you will be provided a “packed” lunch. While lunch is being prepared, you may take a quick nap or read a book. Lunch and dinner could include dal-bhat (rice, lentils and vegetable or meat curry), Indian fried bread, French-fries, tuna, Sherpa stew, spaghetti, momos (Tibetan pot-stickers), pizza, noodles with soup etc. You will be happily surprised. The hike after lunch could last between 2 to 4 hours. After the tents are put up, you will find your duffel outside your tents. Immediately, tea and cookies will be served. Dinner is usually served around 6:00 pm. Usually, you will be in bed by 8:00 or 9:00 pm. The above format is applicable for Nepal, Bhutan and Sikkim. In Tibet, because the winds pick up in the mid day it is difficult to cook hot lunch. Here we usually serve packed or cold lunch. You will have opportunities to fill up your water bottles with hot water after breakfast, lunch and dinner. While bringing water to boiling point kills all of the germs, some trekkers still prefer to treat boiled water with iodine or chlorine. Again, lodge treks are only possible in the Annapurna, Everest and Langtang regions of Nepal. On lodge treks, the guide will let you know about the next days schedule during dinner. You will be expected to be at the dining room the next morning at the planned time which is usually around 7:15 am. We will also serve organic Nepal-grown French Press coffee which we will bring from Kathmandu. Breakfast will be served at around 7:15 am and usually includes toast (where available), Indian flat bread, Tibetan bread, omelets, porridge/muesli, hash browns, salami etc. After 3 to 5 hours of hiking, the group will stop for lunch. While lunch is being prepared, you may take a quick nap or read a book. The hike after lunch could last between 2 to 4 hours. Your duffels will be carried to your rooms. Immediately, tea and cookies will be served. Dinner is usually served around 7:30 pm. Usually, you will be in bed by 9:00 pm. Is a particular trek right for you? Is the time you have planned for your trip to Nepal the right season for a particular trip? While a certain amount of challenge adds positively to your experience, there is a thin line between challenging and impossible. It is important to choose a trek that provides the right amount of physical and mental challenge. Here is critical information that will help you choose the right trip. Spring begins in March and lasts through the middle of May. This is one of the two best seasons for trekking in most regions of Nepal, Sikkim and Bhutan and is most popular for the rhododendrons, magnolia and orchids that color the hills of Nepal. (Rhododendrons in the lower elevations of Nepal are trees that grow to 90 feet tall and bloom in March. The ones found at higher elevations are shorter and bloom in late-April.) However, it is important to remember that any trek involving crossing a pass of over 16,000 feet should be attempted only after mid-April by when most of the snow will have melted away. With that exception, it is possible to do any other trek in Nepal in the spring. The rains arrive towards the end of May and lasts through September. If you think the precipitation in Seattle is a pain, you should experience the monsoons in Nepal and India. Here, when it rains, it pours. Despite the wet and humid days, for our country where rice is a staple, the rain is the only source of water for the terraced paddy fields. During this season, activity around the main office is slow and most of our staff return to their villages to plant and harvest paddy. 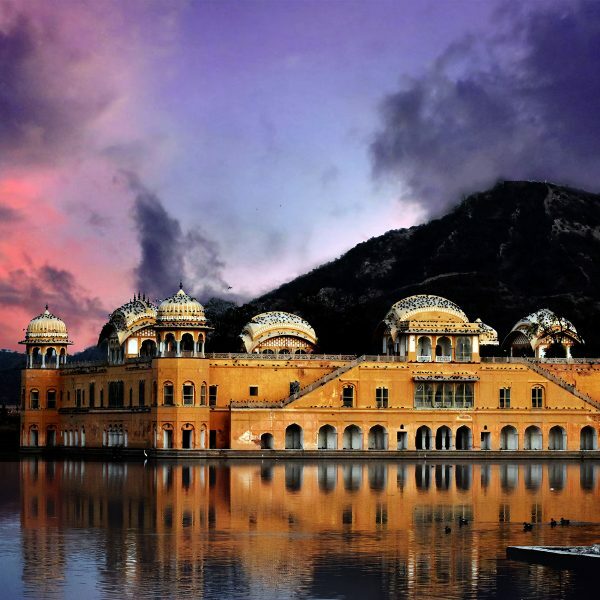 On the other hand, the senior staff who have mostly given up their agrarian lifestyle, gear themselves for trips to Tibet as this is the best time for trips to Tibet. 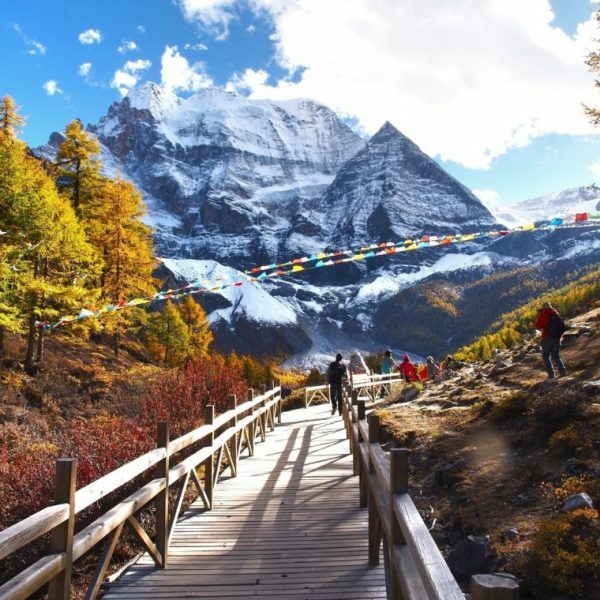 May, June, July and August are the best months to visit Tibet. Treks to the Mustang and Dolpo region are still possible during May, June and July as they fall in the rain shadow region and receive very little rain. Autumn begins in October and lasts through December. This is the best time for trekking in Nepal, Sikkim and Bhutan. With clear skies and minimal chance of showers, each day on the trek allows spectacular views of the high Himalayas. October also follows the harvest period and this is when two of the biggest festivals in Nepal are celebrated. If you are in Kathmandu during the festival, you will be invited to the festivities at our home; if you are on a trek, you will celebrate with the staff; and if you are trekking through a village of one of our staff, you will celebrate it with the staff’s family (of course, we will make sure that the staff will not be economically burdened). All high altitude treks in Bhutan (especially the Snowman trek) should be completed by mid-November as the fresh snow prevents the yaks from making the crossing. It usually starts to become unbearably cold at high altitudes (above 16,000 ft.) in Tibet after November. The cold winter arrives in end December and lasts through February. In Nepal only places above 6-7,000 feet receive snow and hence it is still possible to trek in any region below 12,000 feet. If you do, be prepared for snow and some patches of ice. It is important to bring yaktrax – crampons are overkill. One advantage of trekking in winter is the far fewer trekkers on the trail. While, in this season we celebrate Christmas and New Year, we also celebrate the Gurung Lhosar, Tamang Lhosar and the Sherpa Lhosar (New Year) and you will be invited to the celebrations if you happen to be visiting. Our trips are rated from 1-5 as per the degree of activity and travel severity: 1 being the easiest and 5 the most strenuous. 1 Easy:Hotel nights, non-camping journeys, optional hikes, little elevation gain or loss. 2 Moderate:Hotel nights and/or deluxe, safari-style camping, hikes of two to four hours on some days. Other physical activities sometimes included, such as elephant riding, canoe riding. Long-distance traveling by vehicle or travel via rugged conditions. 3 Mildly Strenuous:Full-day hikes (4 to 6 hours), mountainous terrain. Significant elevation gains and losses (hiking up or down 2,-3,000 feet) on most hikes. Altitudes no greater than about 10,000 feet. 4 Strenuous:Full-day hikes, mountainous terrain, steep ups and downs (as in 3). Trips with hiking at average altitudes of 10,000 to 14,000 feet. Camps at altitudes of 9,000 to 10,000 feet. 5 Challenging:Full-day hikes in mountainous terrain, steep ups and downs (as in 4). Most hikes takes place at altitudes well above 14,000 feet, sometimes as high as 17,500 feet. Camps at altitudes above 12,000 feet. WE DO NOT NICKEL AND DIME OUR VALUED CUSTOMERS. All our packages include all your major costs such as internal airfare, or regional airfare to Paro, Bhutan or Lhasa, Tibet, most meals besides those not indicated in the itinerary we provide, twin-sharing accommodations, transfers, sightseeing, guides and staff, permits, conservation area fees etc. 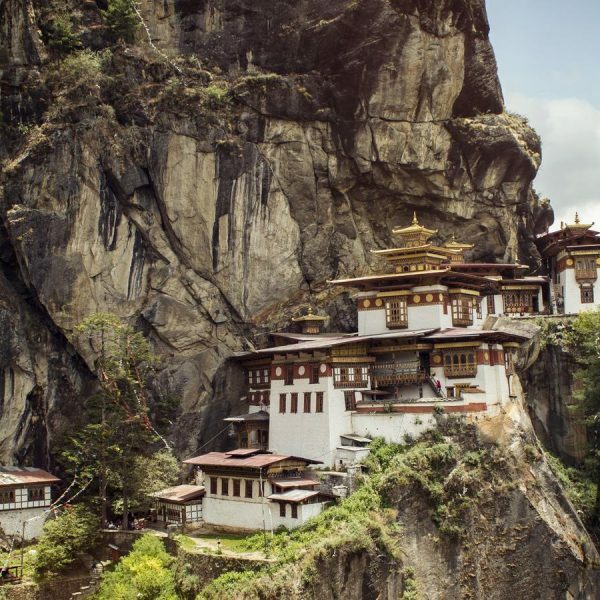 Costs not included are your international airfare from your home country to Nepal, Bhutan or China, some meals, visa fees where applicable, staff tips and other personal expenses for laundry, shopping, beverages etc.